About Autoneum | Autoneum. Mastering Sound and Heat. In order to expand further its existing global market and technology leadership in acoustic and thermal management solutions, Autoneum consistently implements the strategic priorities set out in the corporate strategy. 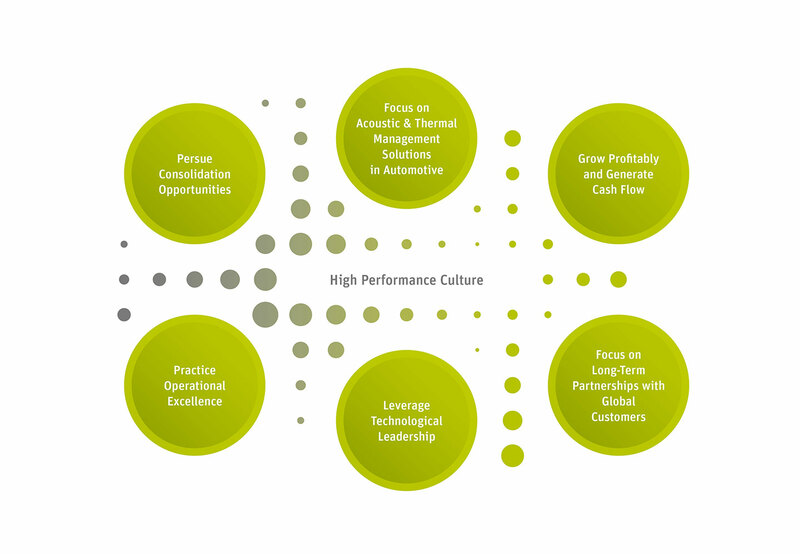 The high performance culture promoted and practised at Autoneum serves here as the foundation for effective implementation and long-term corporate success. A corporate strategy geared only towards economic progress cannot achieve sustained success. A motivating corporate culture targeted not just at performance but also at cohesion and employee satisfaction is an essential contributing factor to both the tangible and intangible success of a company. 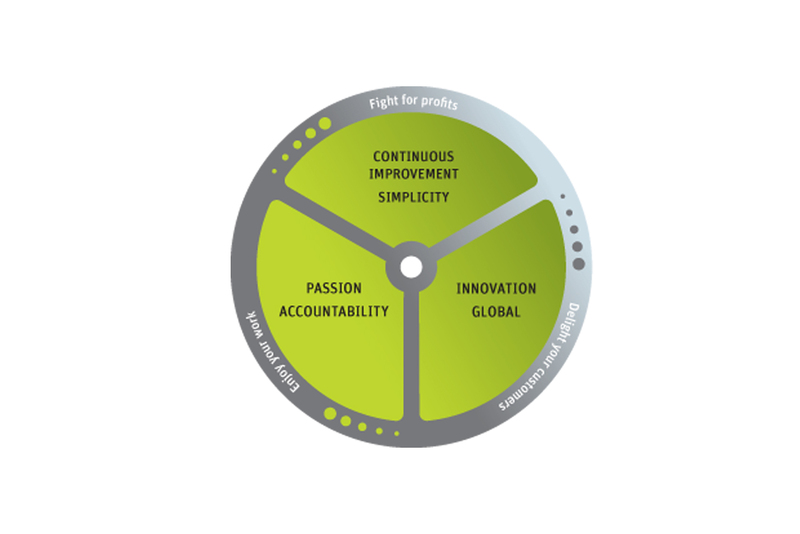 Autoneum has therefore defined specific corporate values and behaviors that form the fundamental pillars of a High Performance Culture. This Autoneum culture has been developed by a global management team across all locations and divisions.